Throughout this session David establishes how Christ is supreme-to-the-max as the King of the universe, the Ruler of history, the Lord of the nations, Conqueror of evil forces, and the Master of our lives. Preeminently, Jesus reigns as the Head of the Church, which is “the fullness of him who fills all in all” (Ephesians 1). In fact, he “ascended above the heavens that He might fill the whole universe” (Ephesians 4). Jesus is over all because God the Father has “rescued us from the dominion of darkness and transferred us into the Kingdom of the Son He loves [because he is] the firstborn over all creation … firstborn from among the dead … head of the body, the Church; [because he has] reconciled all things whether things on earth or things in heaven, making peace by His blood shed on the cross” (Colossians 1:13,15,18,20). Christ's on-going reign in Heaven and earth assures the fulfillment of God’s purposes now and for all ages, through Christ supreme. What does “Christ OVER us” tell me about who he is today? What does Christ’s supremacy over creation look like? 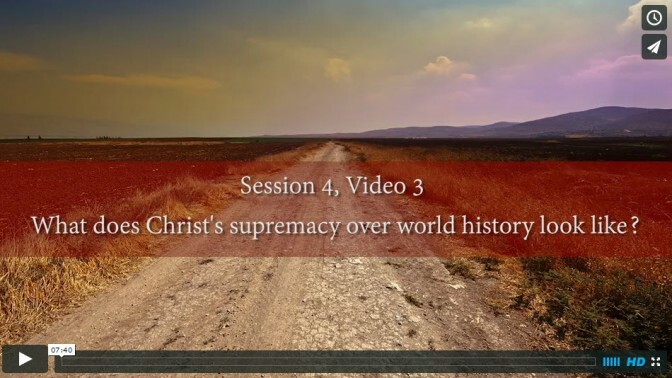 What does Christ’s supremacy over world history look like? How does Christ’s supremacy over global leaders look like? How is Christ over the people of the earth? What does Christ’s supremacy over evil powers look like? What does Christ’s supremacy over the Church look like?